Expert witnesses offered testimony about burner phones and Facebook messages in the trial of two men charged with arson and murder in Hamilton, Ohio. The Hamilton Fire Department answered the call. One of the responding fireman, Patrick Wolterman, was injured when he fell from the first floor of the house to the basement. Wolterman later died in the hospital. The coroner’s investigator at the Butler County Coroner’s Office determined the cause of death to be smoke inhalation due to a house fire with carbon monoxide toxicity and thermal injuries as contributing conditions. Officials from the State Fire Marshal’s Office, the Hamilton police and fire departments, and the U.S. Bureau of Alcohol, Tobacco and Firearms investigated the cause of the fire. The owner of the home, Lester Parker, and his nephew, William “Billy” Tucker, were charged with arson and murder for setting the fire that caused Wolterman’s death. Prosecutors allege that Parker was having financial trouble and he came up with a plan to set fire to his home for insurance money. The prosecutors claim that Tucker agreed to light the fire for his uncle in exchange for pain pills. Both Parker and Tucker pleaded not guilty. At trial, prosecutors called Jennifer Dillion of the Ohio Bureau of Criminal Investigation to testify about cell phones, phone calls, and Facebook messages that she analyzed. 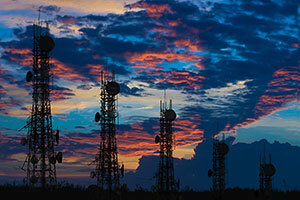 Dillion was able to determine what cell phone towers calls originated from. Data indicated that on the date of the fire, Parker used a cell phone that he owned from the Hamilton area and the Cincinnati area to call a phone in Kentucky that belonged to Stacy Tucker. There was also evidence of calls from a prepaid burner phone with a Las Vegas number to a pay phone in Hamilton, across the street from the hotel where prosecutors allege Tucker stayed after the fire.